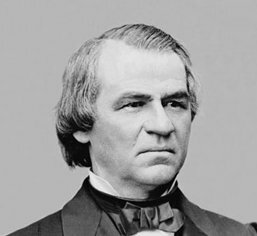 President Andrew Johnson's moderate policy supported the concerns of the South, and did little to advance blacks' civil rights. In the winter of 1865-1866, two bills were drafted to protect the freedpeople, the first extending the life of the Freedmen's Bureau, expanding its legal powers and authorizing it to build and support schools, and the second defining the Freedmen's civil rights, giving Federal courts appellate jurisdiction in cases concerning these rights. But on February 19, 1866, President Andrew Johnson dismayed his Republican supporters by vetoing the bill, with his convictions of white supremacy and states' rights prevailing over any concern about harmony with the congressional majority. Congress passed the civil rights bill with nearly unanimous Republican support on March 13, 1866. But a second veto succeeded in driving off the majority of his Republican party, leading them to concentrate on passing the two bills over the his vetoes - which they accomplished on April 9 and July 16, 1866. Both Lincoln and Johnson had foreseen that the Congress would have the right to deny Southern legislators seats in the U.S. Senate or House of Representatives, under the clause of the Constitution that says, “Each house shall be the judge of the ... qualifications of its own members.” This came to pass when, under the leadership of Thaddeus Stevens, those congressmen called “Radical Republicans,” who were wary of a quick and easy “reconstruction,” refused to seat newly elected Southern senators and representatives. This repudiated the Dred Scott ruling, which had denied slaves their right of citizenship. All the Southern state legislatures, with the exception of Tennessee, refused to ratify the amendment, some voting against it unanimously. In addition, Southern state legislatures passed “codes” to regulate the African-American freedmen. The codes differed from state to state, but some provisions were common. African Americans were required to enter into annual labor contracts, with penalties imposed in case of violation; dependent children were subject to compulsory apprenticeship and corporal punishments by masters; vagrants could be sold into private service if they could not pay severe fines. Congress enacted the Military Reconstruction Act (i.e., "Radical Reconstruction") in March 1867, which allowed former Confederate States to be readmitted to the Union if they adopted new state constitutions that permitted universal male suffrage. Senator Thaddeus Stevens, author of the reconstruction bill argued that the former Confederates in the South could not be trusted. "Not only had they tried to tear the Union apart, but since the war they had acted as barbarians . . . murdering loyal whites daily and daily putting into secret graves not only hundreds but thousands of colored people." Johnson’s main offense was his opposition to punitive congressional policies and the violent language he used in criticizing them. The most serious legal charge his enemies could level against him was that, despite the Tenure of Office Act (which required Senate approval for the removal of any officeholder the Senate had previously confirmed), he had removed from his Cabinet the secretary of war, a staunch supporter of the Congress. When the impeachment trial was held in the Senate, it was proved that Johnson was technically within his rights in removing the Cabinet member. Even more important, it was pointed out that a dangerous precedent would be set if the Congress were to remove a president because he disagreed with the majority of its members. The final vote was one short of the twothirds required for conviction. By June 1868, Congress had readmitted the majority of the former Confederate states back into the Union. In many of these reconstructed states, the majority of the governors, representatives, and senators were Northern men — so-called carpetbaggers — who had gone South after the war to make their political fortunes, often in alliance with newly freed African Americans. In the legislatures of Louisiana and South Carolina, African Americans actually gained a majority of the seats. Many Southern whites, their political and social dominance threatened, turned to illegal means to prevent African Americans from gaining equality. Violence against African Americans by such extralegal organizations as the Ku Klux Klan became more and more frequent. Increasing disorder led to the passage of Enforcement Acts in 1870 and 1871, severely punishing those who attempted to deprive the African-American freedmen of their civil rights. Flush from their resounding victory in the 1866 congressional elections, Johnson's Republican foes set about to restrict his ability to remove federal officeholders. The political backing to begin impeachment came when Johnson breached the Tenure of Office Act by removing Edwin Stanton, Secretary of War, from his cabinet. The War Department was responsible for administering most of the policies on the Reconstruction that the Congress, overriding Johnson's vetoes, had enacted into law. Thus the removal of Secretary Stanton was viewed as an attack on these policies. The Tenure of Office Act had been passed over Johnson's veto in 1867 and stated that a President could not dismiss appointed officials without the consent of Congress. Both Lincoln and Johnson had experienced problems with Stanton, an ally of the Radicals in Congress. Stanton's removal, therefore, was not only a political decision made to relieve the discord between the President and his cabinet, but a test for the Tenure of Office Act as well. Johnson believed the Tenure of Office Act was unconstitutional and wanted it to be legally tried in the courts. It was the President, himself, however, who was brought to trial. The House of Representatives voted impeachment and the Senate tried the case. The trial lasted from March to May, 1868. In May, the Senate voted to acquit Andrew Johnson by a margin of 35 guilty to 19 not guilty - one vote short of the two-thirds needed to convict [in 1926 the Supreme Court ruled all Tenure of Office Acts unconstitutional]. Ulysses S. Grant, General in Chief of the Armies of the United States, directed a national, multi-theater strategy aimed at outflanking the Confederates and destroying their communications and subsistence. Grant was elected to the first of two terms as President of the United States in 1868, assuming office in 1869. In 1870 the 15th Amendment was ratified, which provided specifically that the right to vote shall not be denied or abridged on the basis of race, color or previous condition of servitude. This superseded state laws that had directly prohibited black voting. Congress then enacted the Enforcement Act of 1870, which contained criminal penalties for interference with the right to vote. 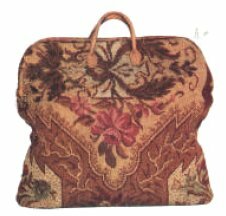 The term "Carpetbaggers" was coined by conservative papers to describe "a lowlife Yankee. He packs his scanty belongings in a carpet bag and takes the first steamship south, to profit upon the misery of a defeated people." Most carpetbaggers tended to be well-educated and middle class in origin. The majority were veterans of the Union Army, and their ranks also included teachers, Freedmen's Bureau agents, and men who had invested tens of thousands of dollars in cotton plantations. Northern reformers moved south to serve with the Freedmen's Bureau, an agency responsible for providing relief and educational services to the newly freed slaves. The term "Scalawag" was applied to native white southerners who collaborated with Carpetbaggers. Castigated as "white negroes" who had betrayed their region in the quest for office, the popular stereotype vilified and dismissed scalawags as unimportant, poor, illiterate farmers with no antebellum political experience, who were outclassed by carpetbaggers. But, in actuality, scalawags won many political offices during Reconstruction, and many of these scalawags were from Black Belt counties and were very influential leaders in the Republican party. Significant numbers read law or attended colleges. Most scalawag leaders were lawyers, but others were newspaper editors, businessmen, physicians, teachers, manufacturers, planters, merchants, or clergymen. Many scalawag leaders came from the state's prominent families, and many owned considerable wealth. They had extensive prewar political experience in a variety of elective and appointive offices. Most of the prominent scalawags did support Douglas or Bell in l860, although many later served in the Confederate army. Many others were ex-Confederates. They dominated state-appointed and elective positions, but won fewer federal positions than carpetbaggers. There is no such thing as a scallawagging carpetbagger. The term "Copperhead" had been applied to Democrats in Northern states who opposed the Lincoln Administration's concept of total victory as a way to restore the Union. In the North, a large portion of the Democratic Party, which had been allied politically with the South before the Civil War, became increasingly alienated during the War. These became known as the Peace Democrats or, more pejoratively, Northern Republicans likened them to the poisonous copperhead snake, undermining the Northern effort to win the War and preserve the Union. The Copperheads, or Peace Democrats, were not necessarily disloyal in the sense that they supported Confederate victory. Rather, they opposed the effort to restore the Union by military force, and called for an armistice and peace negotiations. After the War ended, the Democratic Party, the preeminent conservative institution of the era, fanned the flames of political opposition to the changes brought by war. The party's greatest constituency outside the South came from areas like the "butternut" farming regions of the Ohio Valley, closely tied to the South and bypassed by wartime economic expansion, and other voters hostile toward cultural homogeneity. White supremacy provided the ideological glue of the Democratic appeal, identifying the Republican Party as a threat to individual liberty and the tradition of limited government. The "Bourbon" planter approach to less government-low taxes, few official services meant little involvement by blacks in the political processes. They were conservative Democrats who looked at the antebellum period as a golden age. The Bourbons were rulers of France from 1589 to 1793 and from 1814 to 1830, rulers of Spain to 1808, from 1814 to 1868 and from 1875 to 1931. A Bourbon is a person who clings obstinately to social and political ideas of an old order of things. Bourbon also signifies many geographic locations, one being a street in New Orleans which is involved with Mardi Gras and jazz music. Another Bourbon location is Bourbon County in Kentucky whence cometh a whisky by that name. With the abdication of Napoleon on April 11, 1814 the Bourbon Dynasty was restored to the kingdom of France in the person of Louis XVIII. Talleyrand reportedly remarked of the restored Bourbon rulers that they had "learned nothing and forgotten nothing." A Bourbon is a reactionary or a conservative, such as an extremely conservative member of the Democratic Party. President Grant dispatched federal troops to halt Ku Klux Klan violence in South Carolina following the election of 1870. "Possibly the most massive Klan action anywhere in the South came four months later, when five hundred masked men assaulted the Union County jail and lynched eight prisoners," says historian Eric Foner. This led Congress to pass the Third Force Act, popularly known as the Ku Klux Klan Act, declaring the Klan's activities to be rebellion against the government and providing for federal election oversight. In October 1871, Grant sent federal troops into nine counties in South Carolina, where they made hundreds of arrests and forced thousands of Klansmen to flee the state. A total of over three thousand indictments were issued by federal grand juries. Foner says the tactics "produced a dramatic decline in violence throughout the South." As a result, in the former Confederate States, where new black citizens in some cases comprised outright or near majorities of the eligible voting population, hundreds of thousands -- perhaps one million -- recently-freed slaves registered to vote. Black candidates began for the first time to be elected to state, local and federal offices and to play a meaningful role in their governments. Barrington Moore wrote "In a nutshell, the Radical version of reconstruction came down to using the North's military power to destroy the plantation aristocracy; to create a facsimile of capitalist democracy by ensuring property and voting rights for the Negroes. In the light of Southern conditions at the time, it was indeed revolutionary. A century later, the movement for civil rights for the Negroes seeks no more than this, indeed not quite all that, since the economic emphasis remains muted. If being ahead of the times is revolutionary, Stevens was that. "Even sympathetic Northerners professed shock. Horace Greeley, editor of the New York Tribune, long sympathetic to the abolitionist cause, wrote in response to Stevens's speech of September 6, 1865, ". . . we protest against any warfare on Southern property . . . because the wealthier class of Southerners, being more enlightened and humane than the ignorant and vulgar, are less inimicable to the blacks. "65 Greeley's misgivings give a hint of what was to come when men of substance North and South were to bury their differences and, by another famous compromise, leave the Negroes to make what they could of their freedom." It is not surprising therefore that defeat came soon to the Radicals, or more precisely to what was radical in their program, as soon as it encountered Northern property interests. Nclrthern sentiment was in no mood to tolerate an outright attack on property, not even Rebel property and not even in the name of capitalist democracy. "